ECO – WORSHIPPERS WALK TO CHURCH FOR SEA SUNDAY! 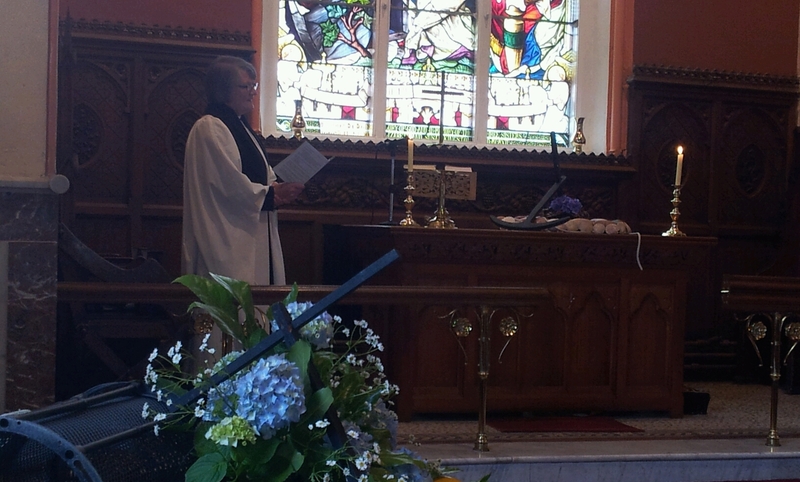 Sea Sunday (8 July) was observed by parishioners of Douglas Union with Frankfield at a special United Family Service in St Mary’s, Marmullane, (Passage West) overlooking the historic port of Passage West. Hymns, readings, prayers and the address all remembered the presence in our island lives of the sea and the vital role played by those who go down to the sea in ships. The adjoining churchyard testifies to the nautical history of Passage West where a number of sailors are buried. There is also a memorial to Captain Roberts who was the first person to captain a steam ship across the Atlantic. 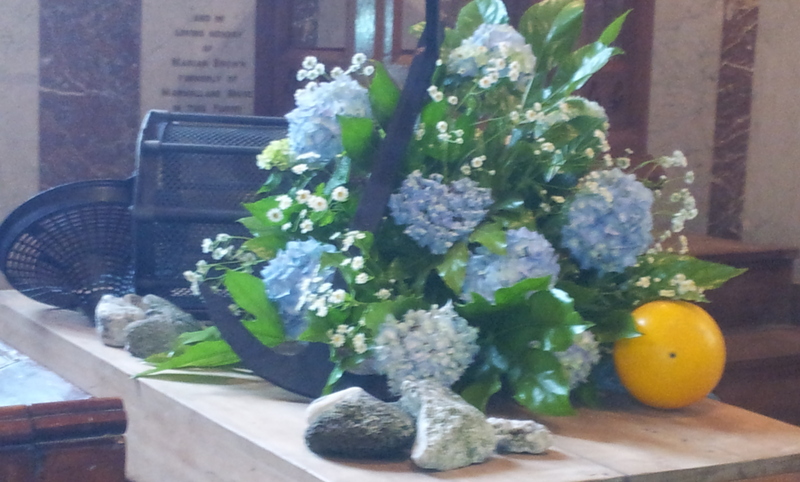 Appropriately the church was adorned for the service with fishing nets, shells, anchor etc. and those reading lessons and leading prayers had maritime connections. A group of gallant parishioners responded to the challenge to walk to church, thereby earning the title of eco -worshippers. The most energetic set out at 9.30 from St Michael’s, Blackrock, following a 5-mile course that took them around part of Cork harbour by Blackrock Castle and the Mahon walkway. Others joined the route at Hartys Quay and Roberts ‘ Bridge and all were provided with refreshments on arrival at St Mary’s Hall. 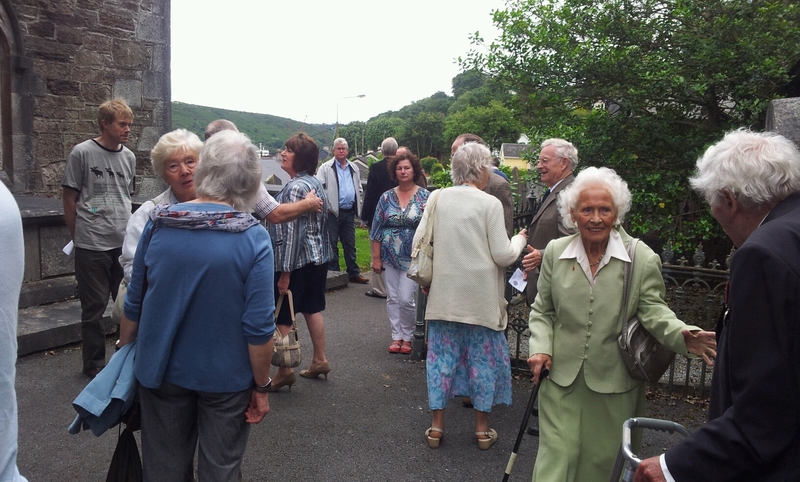 Following the service, walkers and others returned to the Hall to eat a picnic lunch and enjoy an hour of fellowship. Providentially, no rain fell and a couple of walkers made the return journey on foot. By common consent, an experiment worth repeating and sincere thanks to the welcoming hosts in Marmullane! This entry was posted in Church Services, Diocese, Parish News. Bookmark the permalink.